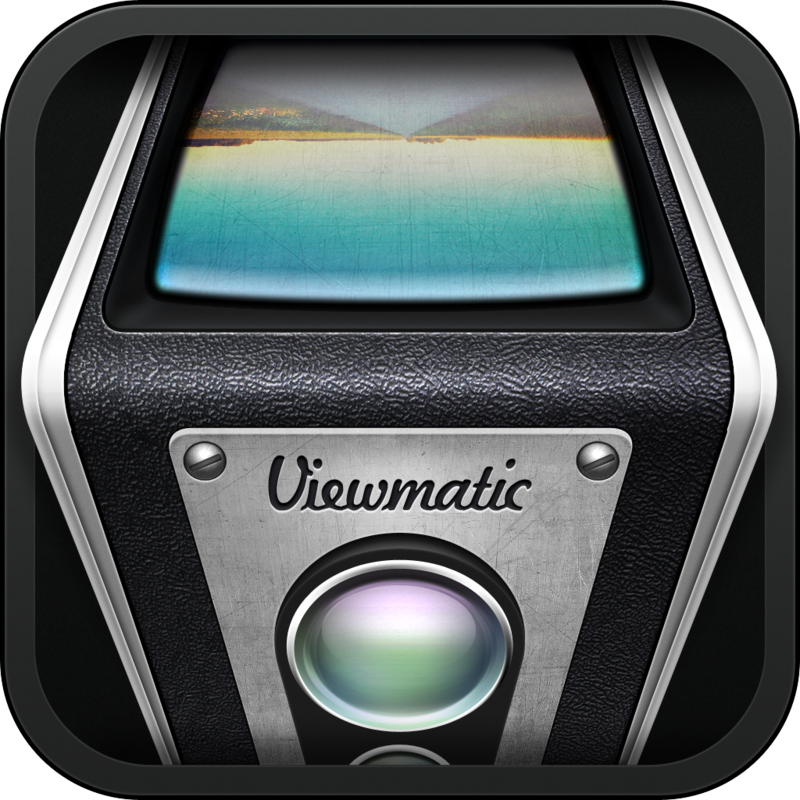 Viewmatic ($0.99) by Bright Mango lets you create and share the experience of looking through an optical viewfinder. Remember when you had to look through a viewfinder when taking photos? 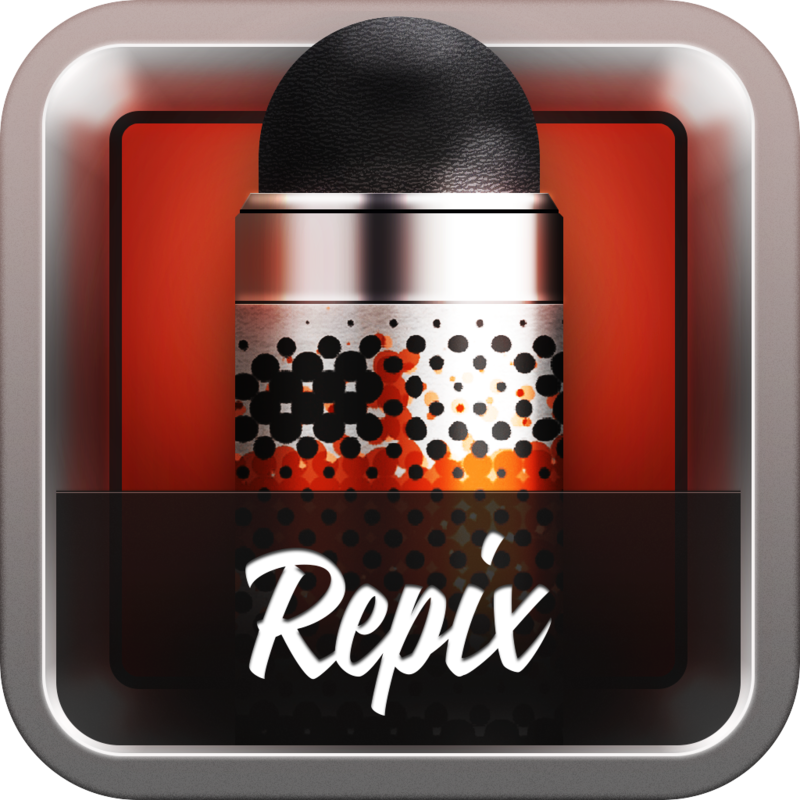 This app brings back those memories by making it look like you’re doing just that. It’s just one more way to make your photos look more interesting. 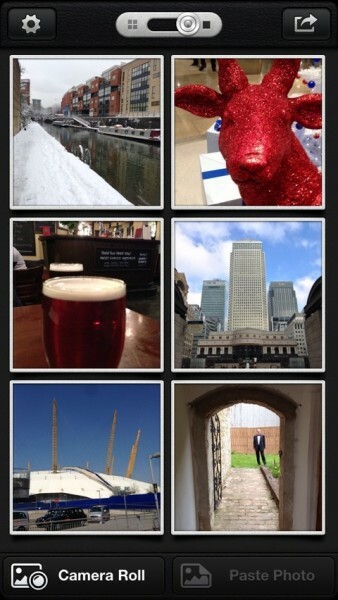 Surprisingly for an app that’s all about viewfinders, you can’t actually take photos from within it. 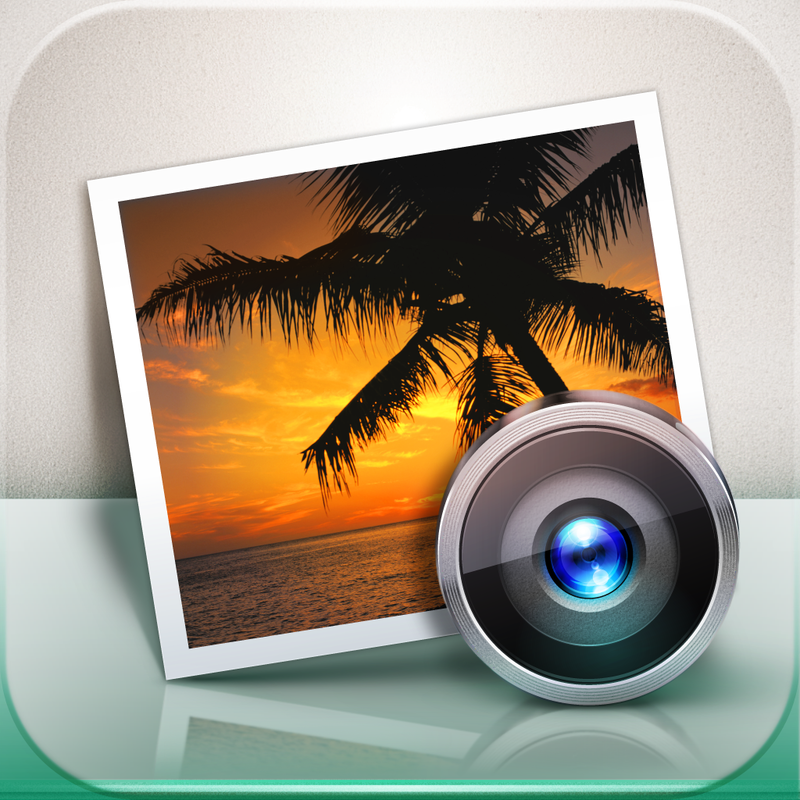 Instead, you can import photos from your camera roll or paste them from your clipboard. It would have been nice to be able to take live photos with the viewfinder effects applied. You can import multiple photos into Viewmatic in one go, then get started with editing. The process is basic, but not unique. You can add viewfinder, filter, and frame effects, then you can make some more accurate edits. 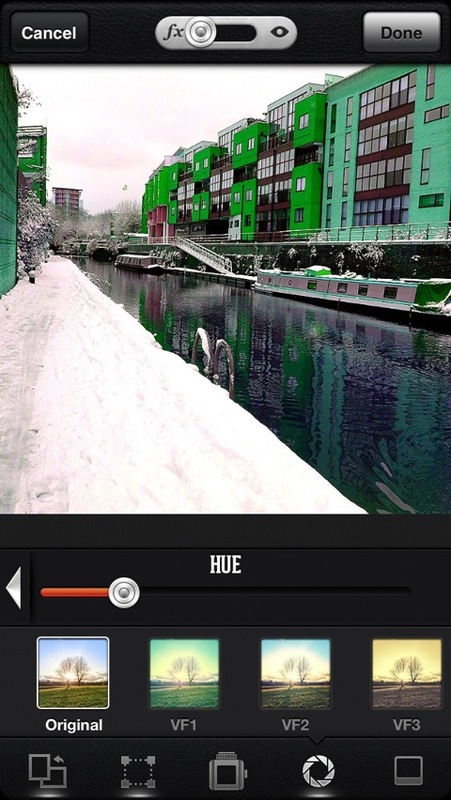 You can adjust things like the brightness, contrast, and more. You can also adjust the “strength” of the filter and viewfinder effects. 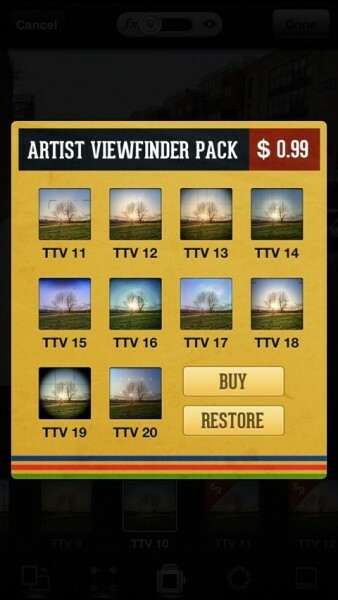 You get a total of 30 filters, viewfinders, and frames to pick from initially, then you can unlock more with in-app purchases that cost $0.99 per pack. Once you’re done creating your work of art, it’s time to show your friends. 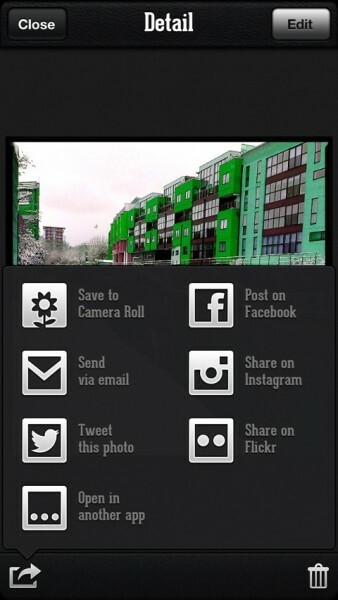 You can share your vintage photos with friends on Facebook, Twitter, Instagram, or Flickr. You can also save them to your camera roll or email them. 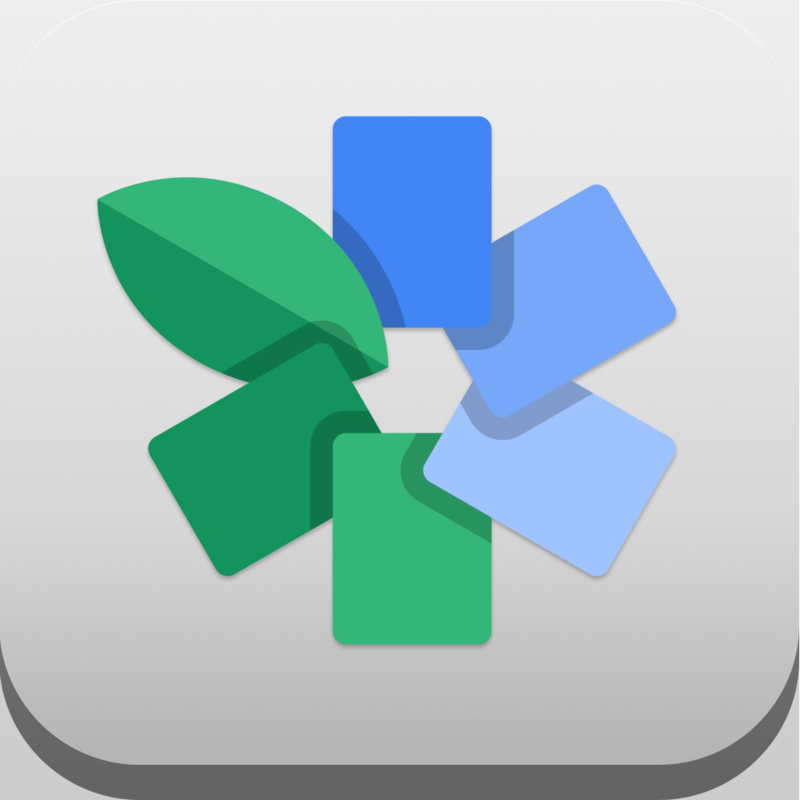 Other than the viewfinder effects, this app’s editing options aren’t better than what you find with other apps, like Snapseed or iPhoto. 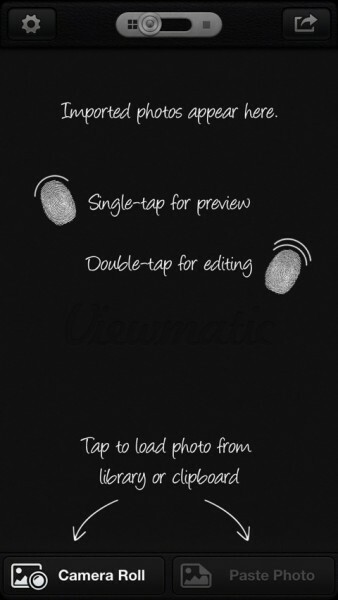 Viewmatic is well designed and easy to use, but I personally still prefer editing with Snapseed and Repix. The viewfinders did bring back memories and some of them did look interesting, but they would have been much better if they could have been used as live effects, while taking photos. 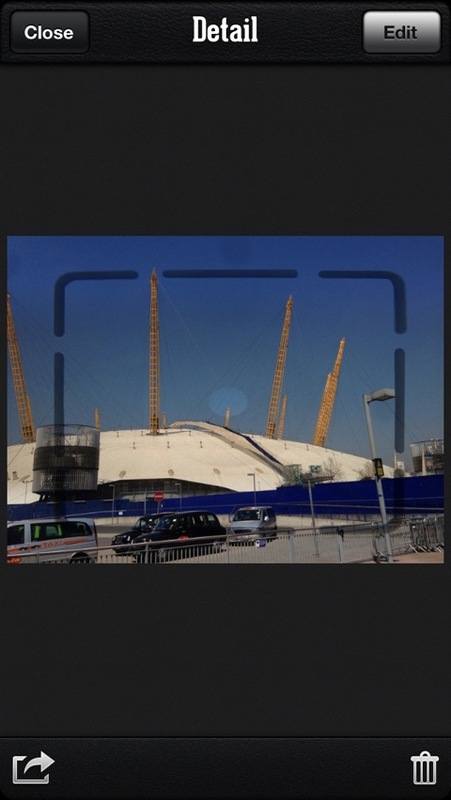 If you love the idea of adding viewfinders to your images, you should download Viewmatic. If not, you should stick with your current editing solution. 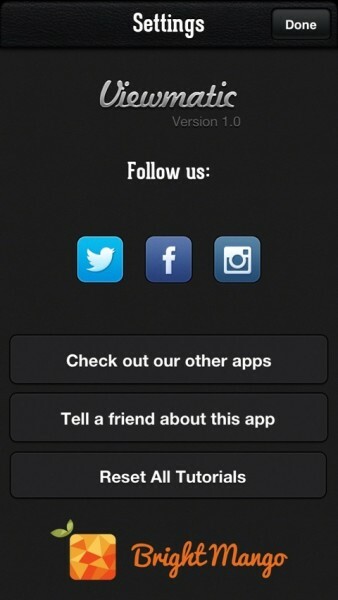 You can get Viewmatic for iPhone for $0.99 in the App Store.